Expand your skill set with concrete ideas and strategies that will increase your value to your organization and help you tackle your day-to-day challenges at the 2019 Legal Marketing Association Annual Conference. 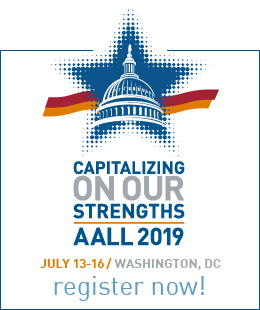 And don't forget to visit AALL @ booth 142. 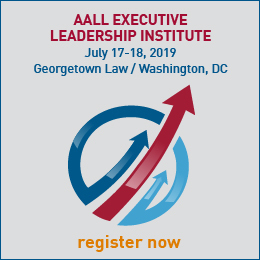 AALL members receive the LMA member registration pricing. To register call 1-877-562-7172 or visit www.LMAconference.com and quote the exclusive LSSO registration code B00-810-810FX04.